Leading Macleay Valley Food Bowl producers and owners of Sweet Water Farm, Marcus Skipper and Sally Ayre-Smith have reported bumper conditions for planting a new season’s crop of sweet organic Russian garlic. With the help of a group of French travellers, also known as Willing Workers on Organic Farms or ‘WWOOFers’, a travelling couple and some neighbours, Sally and Marcus last week finished planting 1.5 tonnes of garlic. “It is an amazing sight to see the beautiful, rich, dark-chocolate coloured soil of garlic beds, with the river in the background and all these beautiful people planting this crop,” she said. The couple moved to the Macleay Valley from Sydney in 2007 and decided to become garlic farmers after purchasing their 25-acre property at Sherwood. “Life was very stressful in Sydney. We had big careers and Marcus had a few health issues so we thought ‘that’s it we’re out of here’,” Sally explained. “We drove up from Sydney and found this place and fell in love with that view. “We were looking at how we could make a living so we had an agronomist come out to give us some advice. I decided to go to TAFE and did a Certificate III course in organic farming. 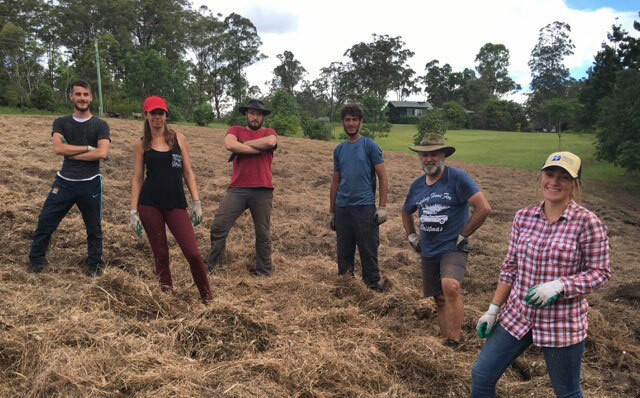 The thriving business has recently seen Sally and Marcus become involved in the development of NSW’s first certified organic distribution centre, which will be constructed at the Farrawell’s Industrial Estate adjacent to the Highway Service Centre. The distribution centre will be owned and run by a number of local growers as well as South Australia based company, Natural Organics. Sally says the construction of the $2 million centre, which will also feature a retail shop, is scheduled to commence in the near future, with an anticipated opening date of July 2017. 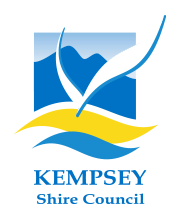 Council’s Economic Sustainability Officer, Kristy Forche-Baird, said the construction of the centre made it a perfect time to establish an agribusiness in the Macleay Valley. “The opening of the centre is yet another great reason to establish a high value agribusiness in the Macleay. The centre will bring increased demand for locally grown organic certified produce, increasing supply opportunities for local growers,” she said. For more information about the Sweet Water Organic Garlic Farm click here.